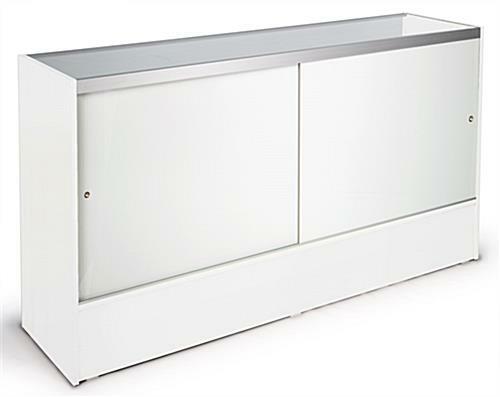 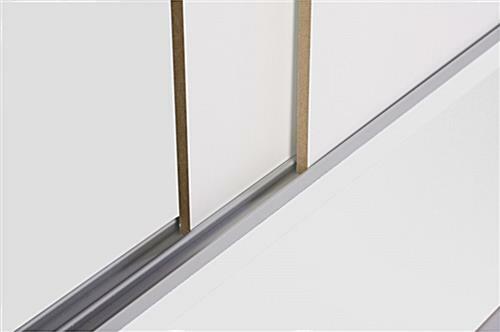 This 6’ white display case is constructed with melamine panels, aluminum extrusions, and tempered glass. 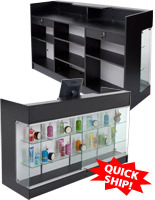 Utilize these counter store fixtures for jewelry, collectibles, electronics, watch box series, or expensive items for additional protection. 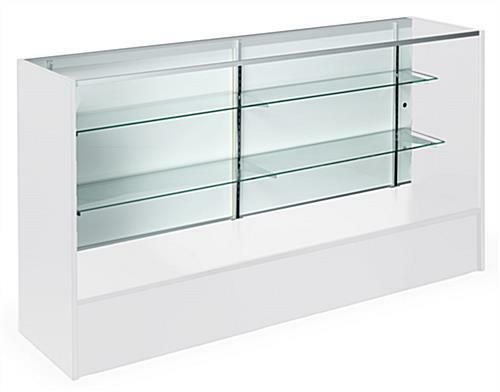 Manufactured to coordinate with compatible units also available at Displays2go, measuring 38” high and 18” deep this retail glass display case provides ample room to arrange and showcase merchandise. 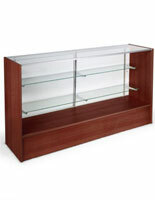 Neutral color panels frame merchandise effortlessly, allowing items to be the true focal point. 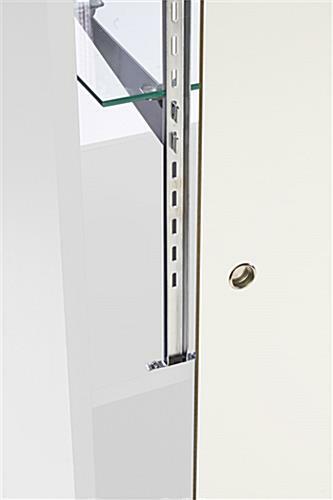 Sliding rear doors provide maneuverability while organizing the merchandise on the (2) adjustable tempered glass shelves, whether it includes petite items such as jewelry or larger products like art sculptures. 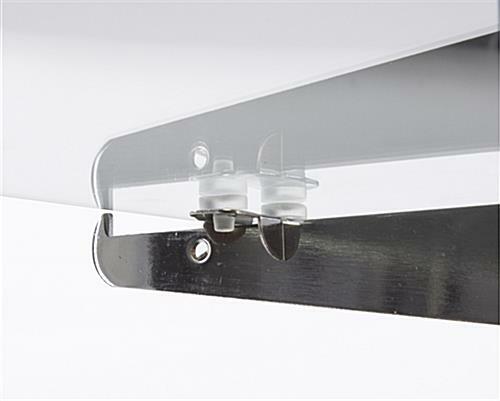 Streamline in appearance and durable in construction, these store fixtures are affordable and meant to last. 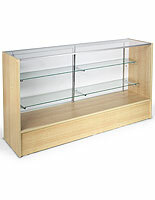 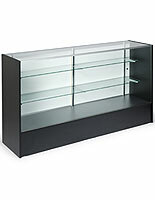 Full vision open glass front design provides additional storage for high quality merchandise to be showcased within a display case.